Wall leakage is a common problem in many Singapore houses and buildings. The majority of the people have probably encountered this problem at one point of time, either in their homes or commercial buildings. Wall seepage causes problems like peeling the painting, growth of molds and destroying the original color of the surfaces. The fungal growth may cause allergies to the home dwellers. The following are some of the common causes of wall seepage in many buildings. The plumbing system fault is an internal problem that is caused by leaking pipes, poor sewerage system, excessive pressure of water supply, and also faults in the neighbor’s house. These factors can cause wall leakage because most of the water pipes are usually fitted on the walls. Clogged gutters may result into a long-standing water which will accumulate in the roofs. With time, the water will find its way through the roof to the walls, and you will start seeing water dripping from the walls. Also, it creates a good environment for fungi and bacteria growth that will destroy the aesthetic value of your house. Malfunctioning of the tack can cause wall leakage in your building. The storage might have broken due to the excessive pressure inserted by water, or due to aging factors. Old tanks are vulnerable to wear and tear. Therefore, you need to cross-examine your storage tanks to make sure that they are in good condition. The construction phase is important for any building. It is important for the contractors to properly install the waterproof materials to prevent future water seepage. In an event where the contractors were not very careful with the membrane installation, the walls become vulnerable to water leaking. To solve this problem, you will need to hire professionals like Waterproofing Singapore to fix the right waterproof membrane in your walls. After a heavy downpour, rainwater tends to highly accumulate in the underground. This problem begins from the foundation walls, especially if they do not have sufficient waterproof membrane. Water will seep through the foundation walls to your basements. If it goes unnoticed, you might wake up to a flooded basement. These are the main possible causes of wall leaks that you may experience. The good news is that here at Waterproofing Singapore we have the best solutions to all causes of water leaks. In most cases, water leaks go unnoticed until they have caused a large mess in the house. This is when the homeowner realizes that water has been leaking through the wall for a long time. 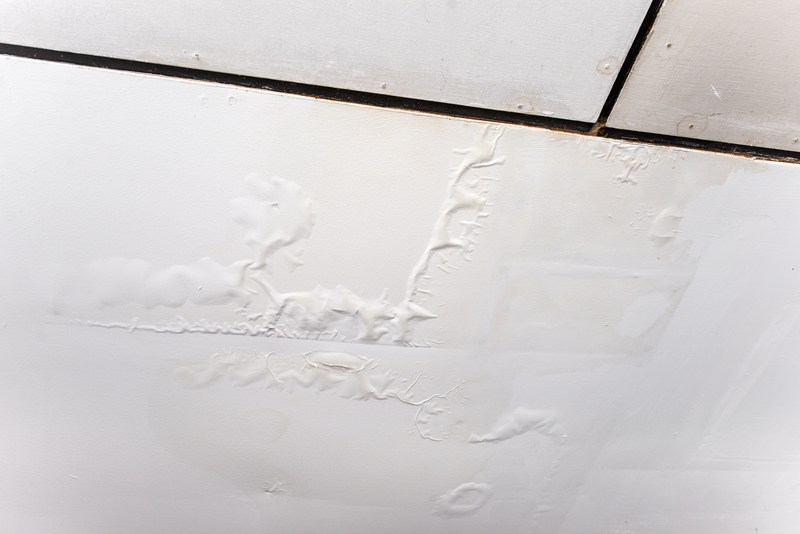 Most of the late signs include cracked painting coat, damp walls, wetness in the area of your storage, and molds growing on the walls. One of the effective ways of finding out if your wall has a leak is by closing all faucets and taking the measurement of the meter after two hours. If the meter will have moved and you have not used any water in the house, it is possible that your house is experiencing water leaks. At this point, it is important to call a professional to come and examine your house. This is because this method does not tell you the specific location of water seepage. Second, you can check the status of your gutter. If it is clogged with standing water, it is possible that your walls may experience water leaks. This one can be sorted by cleaning out the gutter and ensuring the free flow of water. Third, if your basement is constantly wet, it is a sign that your foundation wall is experiencing water seepage. Too much accumulation of underground water may cause excess hydraulic pressure that may force water through the foundation wall to the basement. The final way of checking wall leaks is by using a hygrometer to measure the moisture content in the house. If the meter shows high readings, it shows that there is a lot of condensation taking place hence a sign of water leak. Having known the causes wall leaks and how to find out your water leaks, you can contact us for further investigation. We provide the best quotes in Singapore for wall leakage solutions. Contact us today!